Can you truly hit a straight shot? The answer to this question is simple. It is virtually impossible to hit the ball dead straight. In actual fact, the ball has what is referred to as a “Start Line” and a “Finish Point” and even for the best golfers, these two points are never the same, no matter how skilful you are. 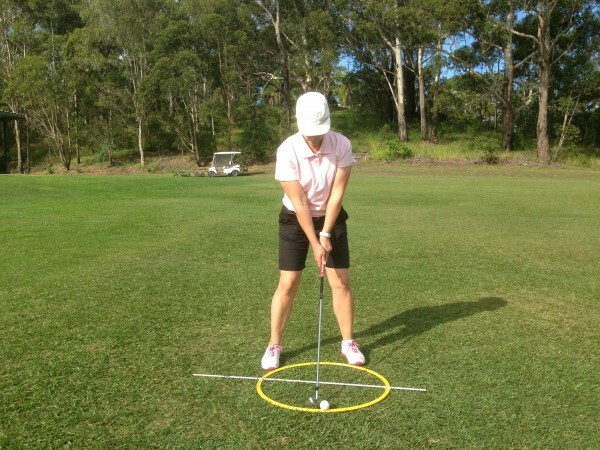 What we would like to discuss this month is how you can improve your overall game and scores on the golf course simply by varying your set up position and alignment to reflect the shape of shot you are trying to execute. By this we mean that we see a lot of players out there trying to hit the ball straight, however they are taking a series of practice swings that “do not match” the intended shot that they are trying to produce. Our advice to you is to forget that the “Straight Shot” exists. Focus your attention particularly with your practice swings, on creating the type of shot that you require. Picture in your mind either a small draw (right to left shape) or small fade (left to right shape) by creating the correct sequence of movements with your body and hands to assist you in achieving the shot. In the photos, we have Rachel in three separate set up positions, each one producing a different shot type and shot shape. There is a Fade alignment (open and to the left of target), a Straight alignment and a Draw alignment (closed and to the right of target). Don’t get us wrong, there are certainly times when a “straight shot” is required, however the straight shot that we refer to would be from distances within 100 metres of the putting green. 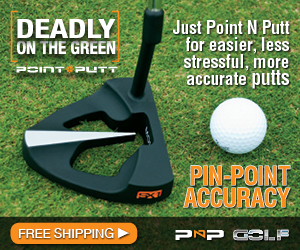 Elite players refer to “green light” and “red light” pin positions. 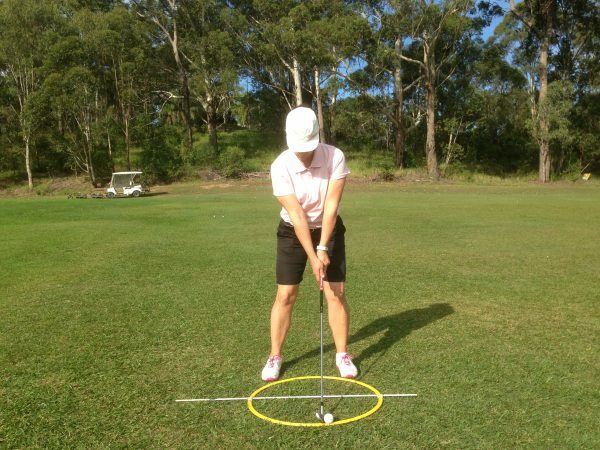 Given the right conditions a player will go straight at the pin rather than trying to shape the ball. It must be pointed out that the elite player has by definition very good technique and fundamentals, and has a greater chance of producing a square clubface alignment that would hit a “straight shot”. In conclusion we want to emphasise how important it is to make your practice swings a rehearsal of the actual movement pattern and type of swing that you are trying to produce. In other words, why have an out-to-in practice swing if you are trying to hit a low draw? These two swings are totally different in both the feel and swing shapes and, of course, produce different results. 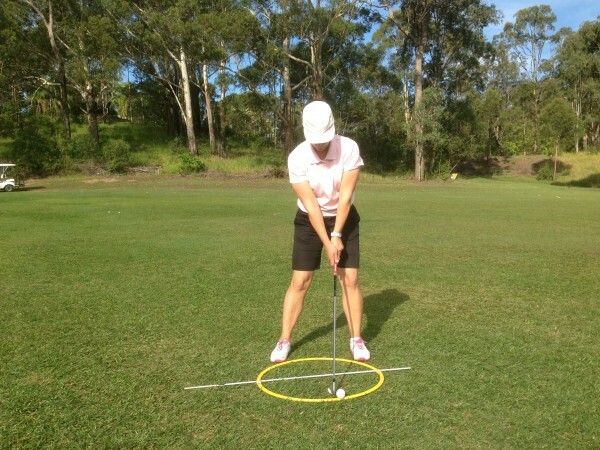 Good luck and good golfing, try this exercise at the driving range first and I am confident that it won’t be long before you are hitting the types of shots you want on a more regular basis. Randall is an Instructor at the Rachel Hetherington Golf Range, 425 Piggabeen Road, Cobaki Lakes, 2486, and is available for lessons specialising in video analysis and launch monitor. Please contact Randall on 0408381924, or the Golf Range on 07 55907686 or email rhs_golfpro@hotmail.com for further information.